My large crab, Harry, goes nuts when I put something exciting in the tank, like a chunk of cooked chicken or some fresh pineapple. He comes to the food and literally flips out, somersaulting and flailing. I put half an eggshell in this morning and walked in to this a little later. 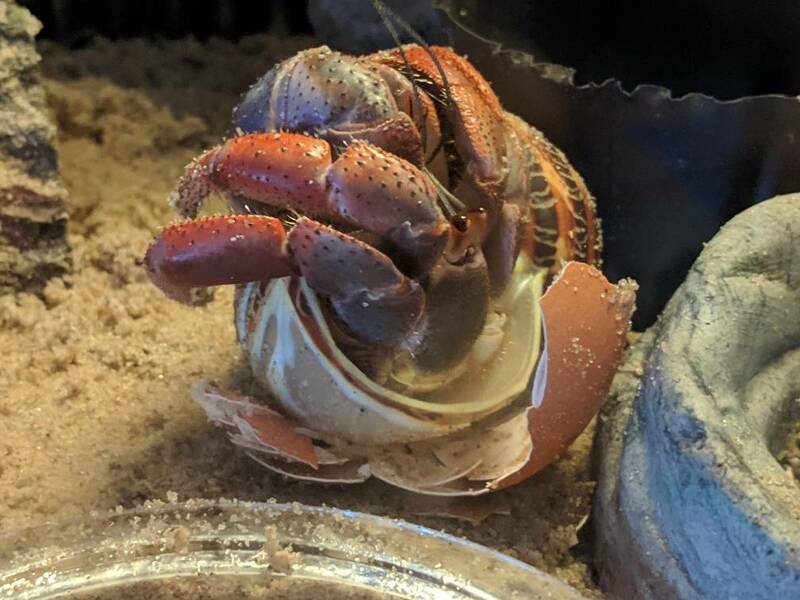 Does anyone else's crabs do this? LOL! Harry looks like a dog when they find an animal carcass then decide to roll all over it!